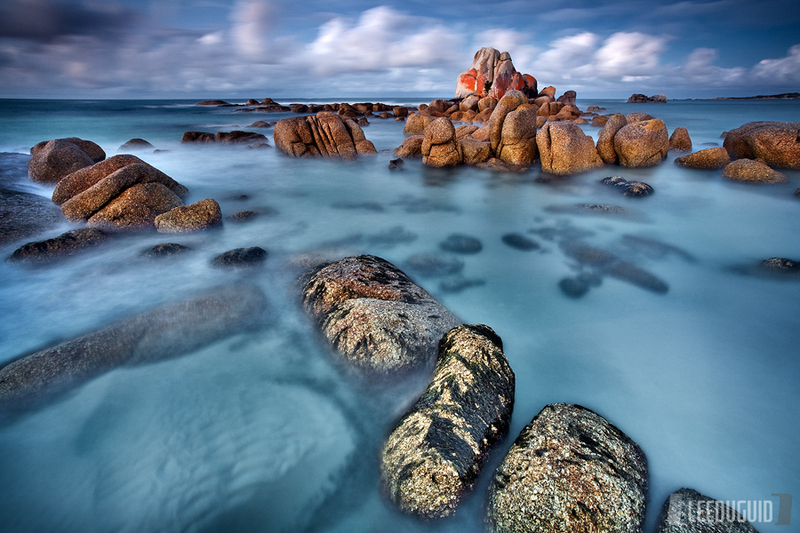 Picnic Rocks, Mt William National Park, Tasmania The red lichen covered rocks of the Bay of Fires contrast against the azure waters soften by a long exposure. North of Eddystone Lighthouse, Picnic Rocks sit on a long stretch of pristine white sand. A truly special place.